There is so much grief, anger, confusion and stress nowadays; in order to live with the greatest freedom and to enjoy the highest fortune we must learn how to enter the domain of our heart. It is our heart that lights the path to healing, it is in our hearts where we can connect to our true wisdom. When we learn how to listen to that inner wisdom, we then plant the seeds for worldly success. On this nourishing retreat, we will work on removing the veils that obscure our inner light. We will have yoga sessions twice daily, one slow morning flow followed by Pranayama and a guided meditation, and a restorative/yoga Nidra in the evenings. The surroundings of Chia Retreats are exceptionally special, and we will have plenty of opportunities to go on nurturing walks as well as having “me time” to relax by either of the pools. To those who would like to explore their creativity, on offer is an optional evening painting class. We will express ourselves joyfully and most importantly, have fun. The retreat takes place in an estate with a private manor house that dates back to the 17th century with recent reconstruction bringing you all the comforts of modern contemporary life. This rural property is set in 17 hectares of gorgeous, green and natural scenery. The house is exclusively for our guests on this retreat. The property includes comfortable en-suite bedrooms, indoor and outdoor swimming pools, tennis court and a lake. Shala surrounded by gardens provides a dedicated place for your daily yoga practice. 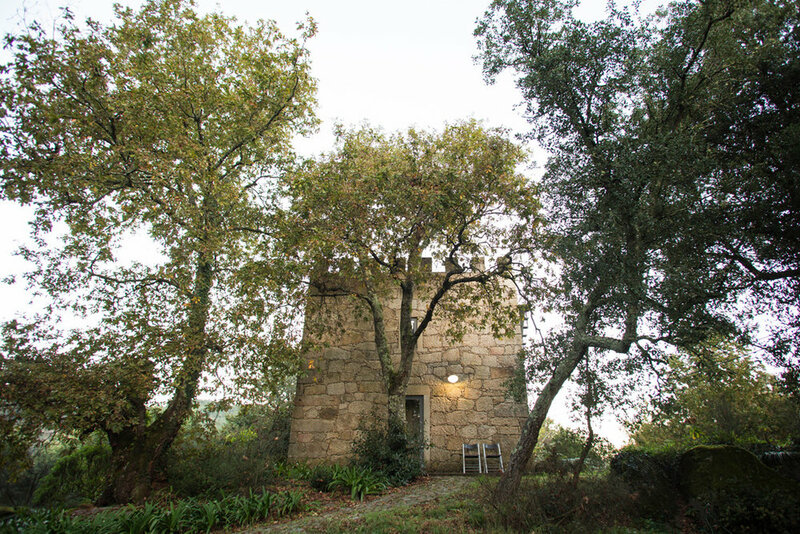 The house is located in the oldest village of Portugal known for its exclusive production of Vinho Verde wine. 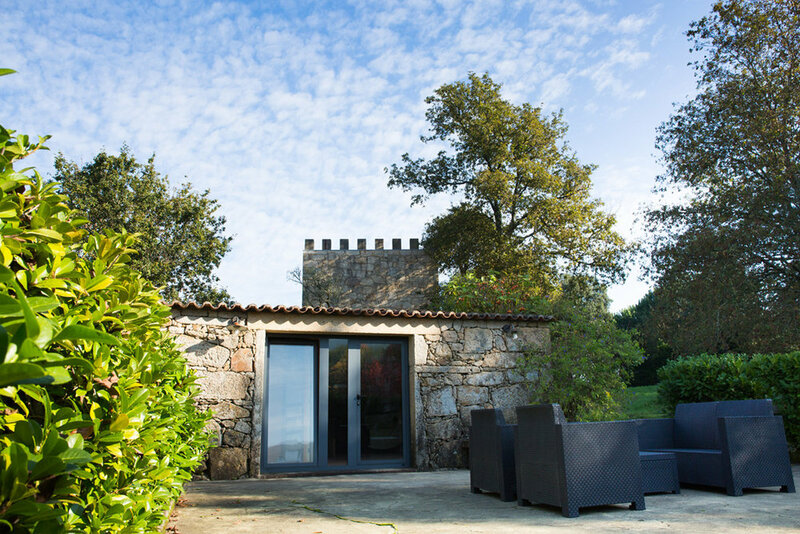 The house is situated 43 miles from Porto airport(1 hour drive), 45 miles from the city of Porto, 12 miles to the beach (25 min drive), 3 miles to the village of Ponte de Lima (5 min drive) and 35 miles to Parque Nacional Peneda-Geres (1 hour 20). Chia’s chef and team offer a creative and special Mediterranean cuisine using products of the highest quality with local, organic or seasonal fruit and vegetables. Flights. Please take a flight to Porto. Recommended arrival flights with Ryanair, Easjet, BA or Tap Air arriving between midday and 1430 and departure should be later than 1400. All rooms are equipped with fresh cotton bedding, TV sets, central heating and en-suite bathrooms with nature based body wash and fluffy towels. Triple-Quadruple share option available in a 2 bed 2 level stone cottage. Share with two or three others. Availability confirmed when minimum of 3 guests select this option .